Can be left exposed or finished with your favorite wall panel. Fits with a perimeter drainage system to drain wall leaks. Improves comfort and energy efficiency. Foamax® Basement Wall Insulation is only available from a certified installer in your area. Contact us to request an inspection and get a free cost estimate to have it installed in your home. Do you have a water seepage problem? A special flashing installed with Foamax panels drains wall leaks to your interior drainage system. Cold basement walls make your entire basement colder in the winter. The cold surface also creates condensation in the summer. Insulating your basement walls with the right material can help make your basement warmer and drier. 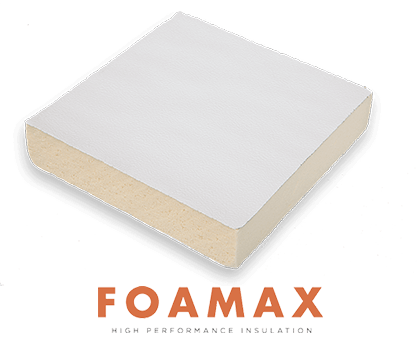 Foamax is an advanced polyisocyanurate foam insulation panel designed with a white foil finish on the front and a foil vapor barrier on the back. The white finished face brightens the basement and the vapor barrier helps control basement humidity. Heat moves from more to less and concrete conducts heat easily. Heat that you paid for moves from inside your home to the cool earth and cold outdoors in a constant stream. This causes cold, uncomfortable basements; higher heating bills and condensation on cold walls in the summer. Foamax makes a big difference in the temperature of your walls, providing a comfortable basement and lowering heating costs. 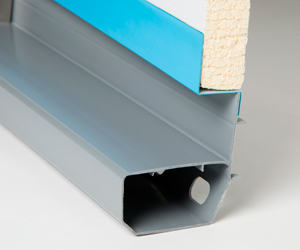 For maximum energy efficiency, we recommend Foamax along with EverLast windows and rim joist insulation. If you're considering a finished floor, we recommend first installing ThermalDry Insulated Floor Decking.